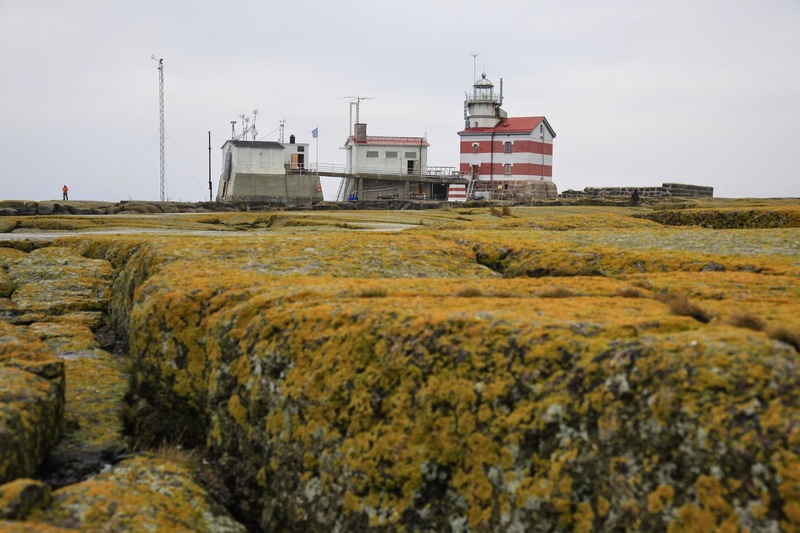 On 12.-14.10.2014 I was on Märket lighthouse island with other 8 people from Finnish lighthouse association with the aim to close the lighthouse for the winter time. 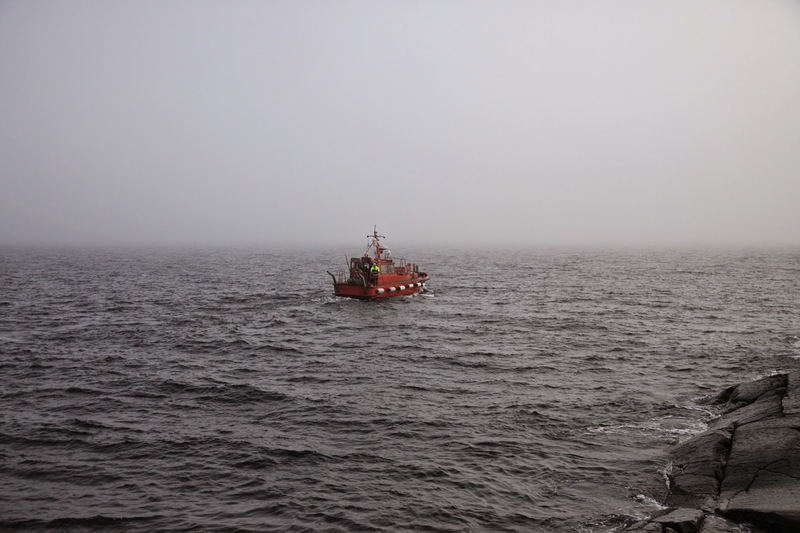 The Sunday morning was foggy when we left Eckerö in Åland mainland and headed towards the sea on a Mats' boat "Sefyr". On a way to lighthouse we passed a small islet full of seals and after 1,5 hours reached Märket. We did quick changeover with volunteers, who had been working on a island previous week and carried food & backbags inside the lighthouse. 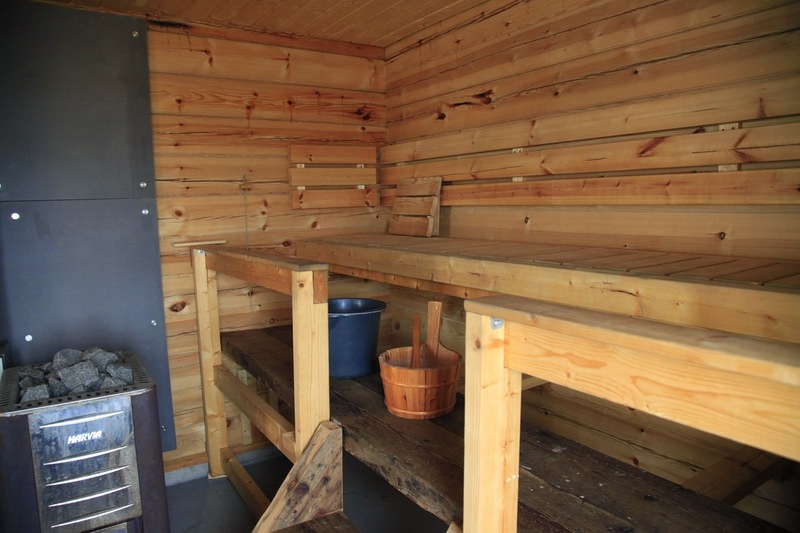 New sauna has been built this summer to one of the lighthouse buildings and from my previous visit kitchen has moved from second floor to first floor as well. 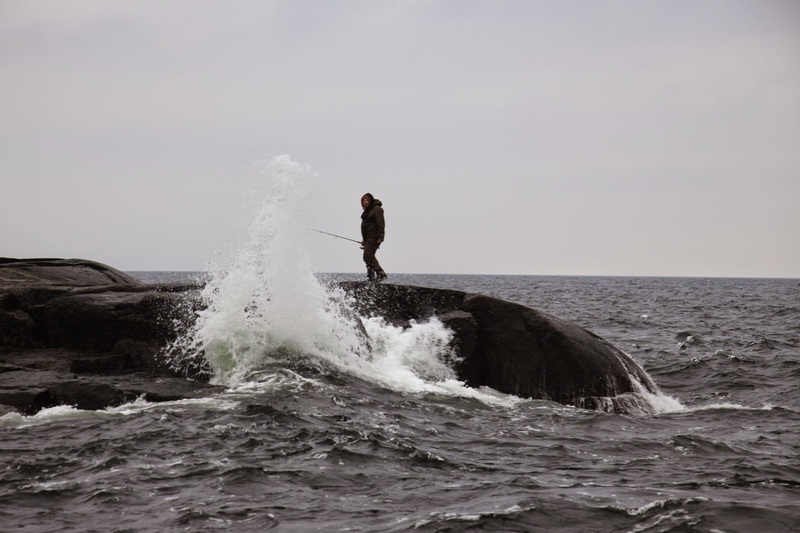 We had one fish enthusiast among us and he took care of fishing during these 3 days. Therefore we didn't had lack of fresh fish at all. 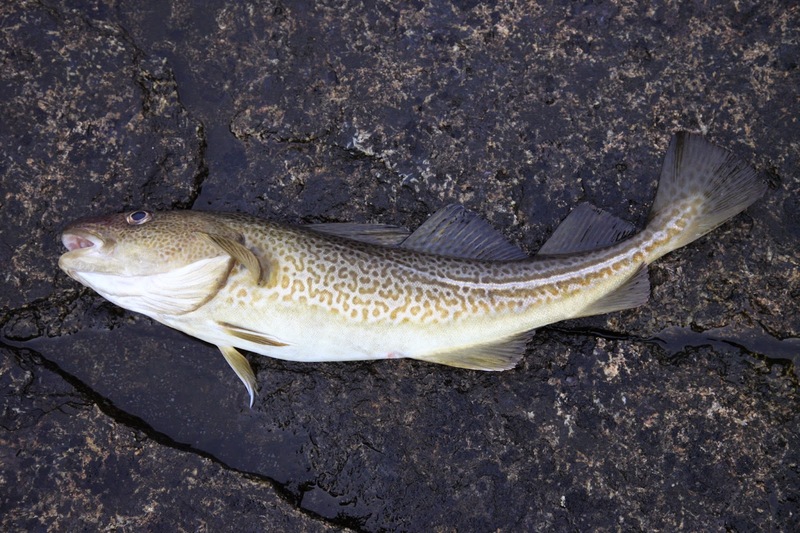 There were lots of cod & sculpin on our dinner table. 3 days was too short visit back to Märket, but anyway it was better than nothing. 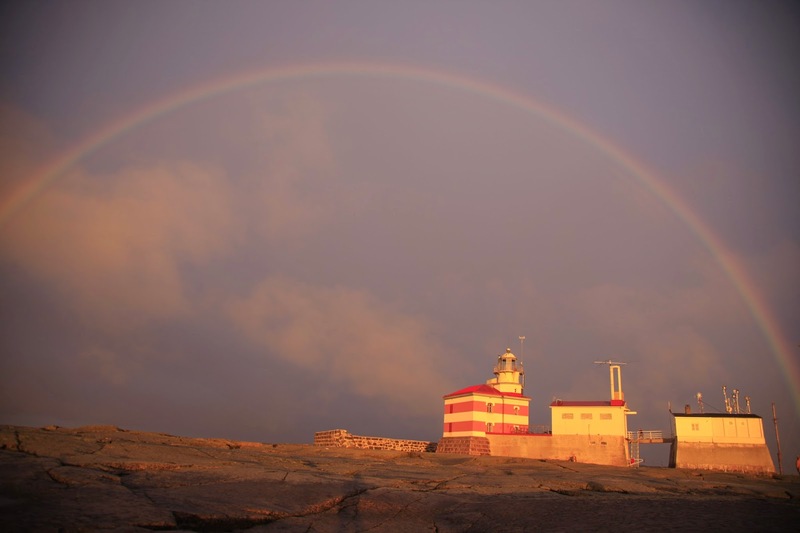 Excellent steams at new sauna, great delicious and fresh food, magnificent views as rainbow overarched beautifully over the lighthouse.